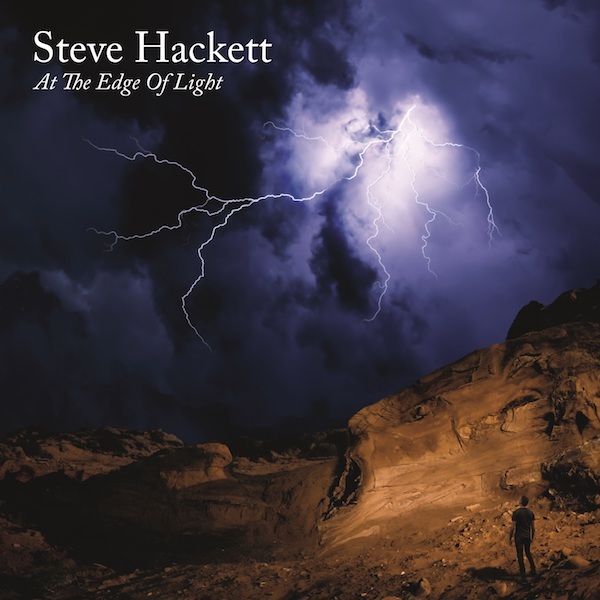 Following the tremendous success of 2017’s The Night Siren (charted at #22 in Germany, #28 in the UK), legendary former Genesis guitarist Steve Hackett announces the release of his new studio album At The Edge Of Light on the 25th January 2019. The album which features ten songs, sees Steve unite a vast amount of styles ranging from guitar driven rock to epic orchestration, from world music to the reflective and atmospheric all brought together in Steve Hackett’s unique style. At The Edge Of Light is released in a number of formats including a Mediabook CD plus extra DVD with 5.1 surround sound mix & behind the scenes documentary, double vinyl LP + CD, Jewel case CD and digital album. Hackett recently played a series of Genesis Revisited shows with Orchestra and will perform two UK dates with acoustic sets in early December before touring Europe in April/May 2019 and has just announced a UK tour in November 2019 with a much anticipated “Selling England By The Pound & Spectral Mornings & Album Highlights” set.